Amaze your friends! Increase your sales! The Pyro Wallet® - Brass Knuckles Company Exclusive! Imagine opening your wallet to pay a bill or give our your business card and your wallet erupts into a roaring fire. Yes, a fire. 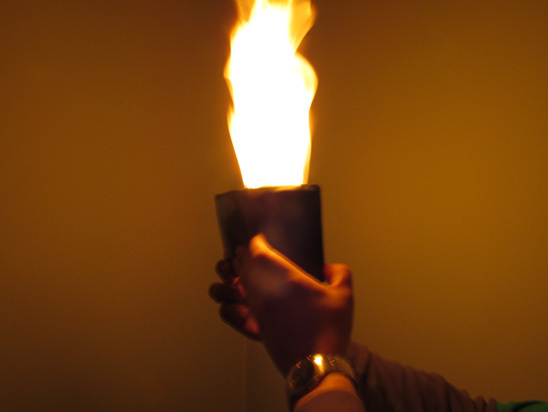 Not a light show or a trick but a real flaming hot fire you can use to light your cigarette! Just as quickly as the inferno appears it vanishes from sight as the wallet is closed. The crowd around you is stunned and amazed leaving you standing at attention holding your business card. Its hard to describe just what an amazing impression this make on people. They might not leave believing in magic but you are guaranteed that they will remember you! Perfect for the salesman or pick up artist! Make a HUGE impression! Don't pay $45 from a theatre magic company for a top quality Magic Fire Wallet. Get the something much better for for much less from The Brass Knuckles Company! 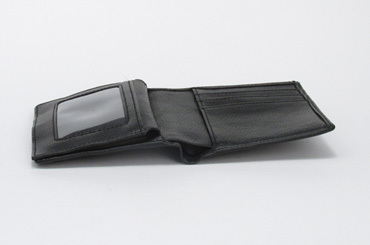 The Pyro Wallet® was $45...NOW JUST $18.89! Fully reusable. Just add lighter fluid. Flint is replaceable but lasts almost forever. 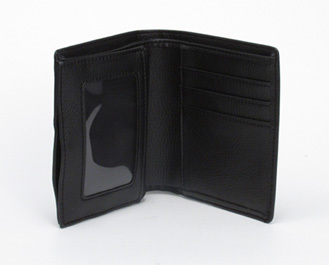 Don't pay $45 from a theatre magic company for a top quality Magic Fire Wallet. Get the same thing for much less from The Brass Knuckles Company! If you have ever seen the effect this has on a crowd you'll know why salesmen, schmoozers and pick up artist pay over $55 for this amazing device known as a "Fire Wallet". But don't pay over $55 bucks. Get the best quality on the market now for just $18.89+FREE S&H! You will make a memorial impression that lasts! I get so much attention when I'm out and I use the fire wallet. People, including chicks, will just walk all the way across the room to talk to me. SWEET PRODUCT! I highly reccomend it!